‘Tis the season to deck your halls with smart thermostats, home automation hubs, and intelligent lightbulbs – and save a bundle at the same time! We’re keeping this article short ‘n sweet so you can get straight to the goodies. This is our annual roundup of Black Friday, Cyber Monday, and holiday season 2015 shopping deals from all over the web. These deals are for North American shoppers and best of all, you don’t even have to get dressed: these deals are all available online. Our top picks for great deals on home technology 2015 starts off with – what else? – our favorite smart thermostat. Normally priced around $250 for the thermostat and one sensor, this Black Friday weekend deal gets you all that plus two extra sensors for the same price. Easily our favorite smart thermostat (read our detailed ecobee3 review). Replace your home’s thermostat with the ecobee3 and its network of wireless sensors for easy scheduling and precise control of home’s temperature from anywhere. 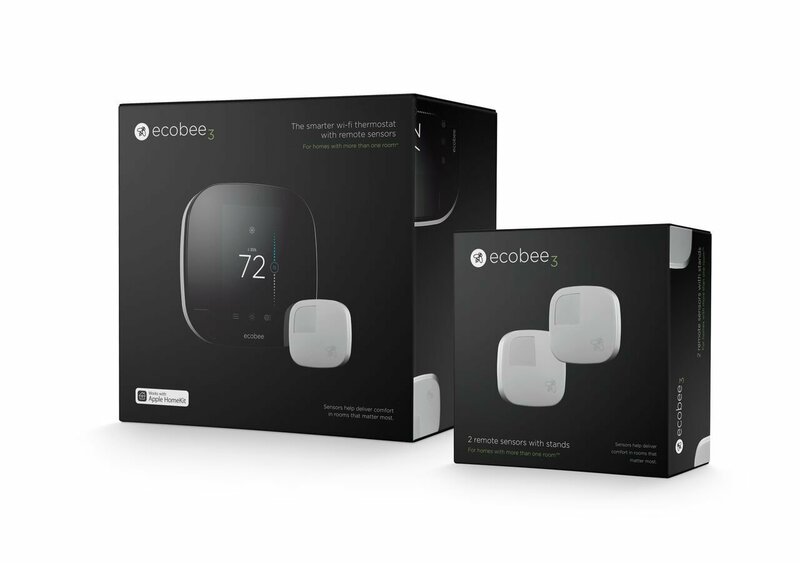 Between November 26-30, you can get the ecobee3 starter pack (thermostat and sensor) plus two additional room sensors for the price of the starter pack alone (a grand total of $79 off MSRP). Good deal, and the only sale we’ve seen on the ecobee3 this entire year! It needs no introduction. The Echo is amazing (we <3 ours) and gets better every month with updates from Amazon. By now, you’ve heard of Amazon’s voice-controlled smart hub, the Amazon Echo. 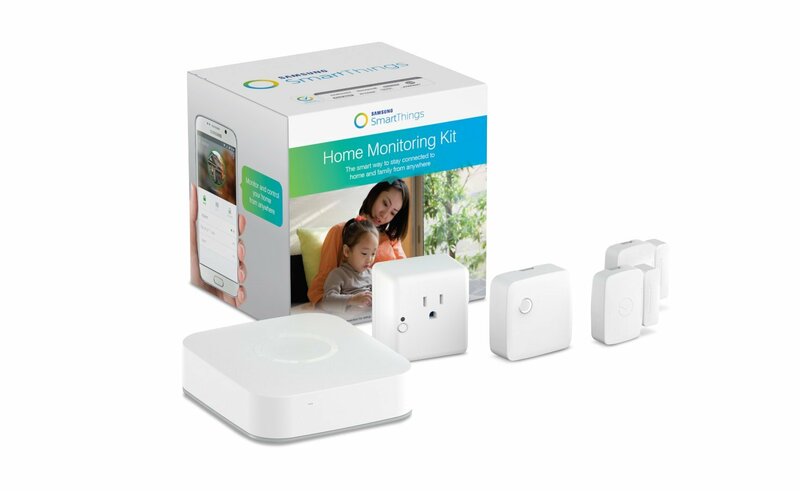 Its true power is revealed when you combine it with a home automation hub such as Samsung’s SmartThings or Echo-ready home automation products like the Philips Hue family. The last (limited time) price drop was mid-November, so grab yours while the grabbing’s good. Want to know more about Echo? 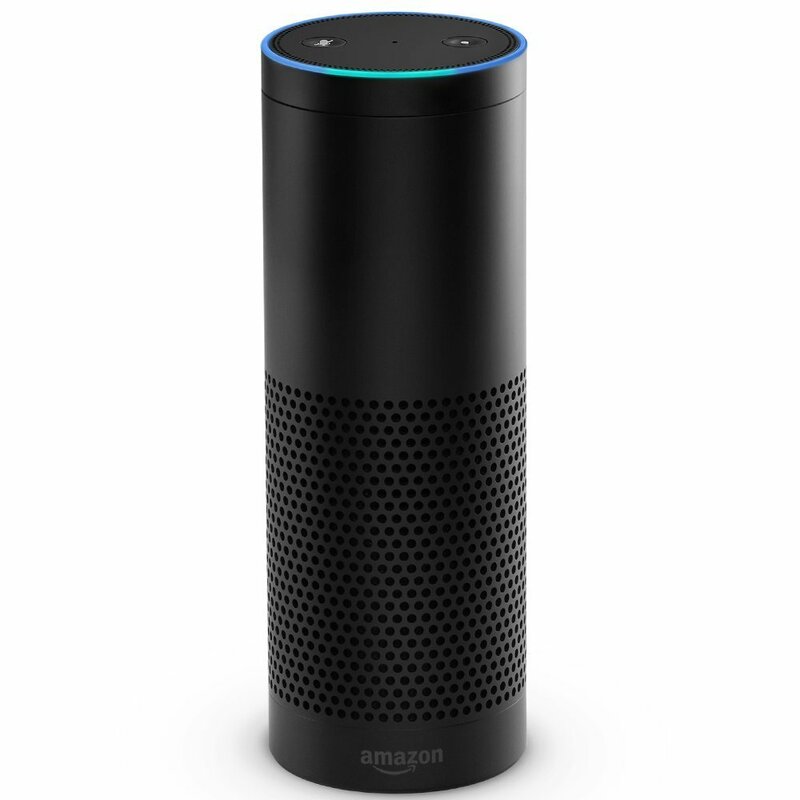 Our friends at OneStopReviewBlog offer a detailed look at the Amazon Echo. Illuminate your home with fully adjustable colored lights. Go from task lighting to mood lighting in an instant. 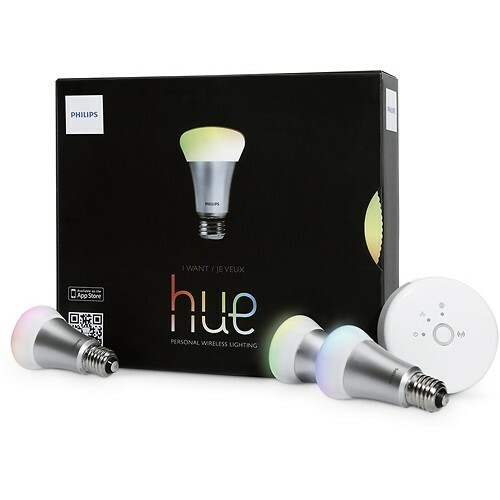 This rare deal on the remote-controlled rainbow lights Philips Hue starter kit might just be a result of Philips trying to unload their 1st gen hardware (you know, the hardware that doesn’t support Apple HomeKit) but if you won’t miss Siri integration, go ahead and grab this starter kit for a cool $30 less than the usual price. All the other features are still there and fully supported through the Hue app. New to Philips Hue? Check out our detailed Philips Hue review on our sister site, HomeUpgraded. Just in time for the holiday travel season, Samsung’s SmartThings home monitoring sends an alert if a door or window is opened. You also get remote control over one electrical outlet and a SmartThings hub, which you can later add more SmartThings devices to to build out your automated home. Want to know more about Samsung SmartThings? HomeAlarmReport has you covered with this detailed review. Yeah, I did a double take, too. $5 for unlimited storage of any filetype is just unheard of! Get ready to dump whatever service you’re currently using for photo and document cloud backup, because Amazon is currently selling a year of unlimited cloud storage for just $5. If you’re mostly storing photos, you can get a year of unlimited photo storage for just a buck (normally $12). This is unlimited storage for all file types. Seriously. What cool home automation tech are you looking forward to giving (or getting) this holiday season? Let us know in the comments, and may your holiday season be filled with wonder and warmth! Thanks for sharing info of these awesome deals. Hope to see many more home automation products, in deals.